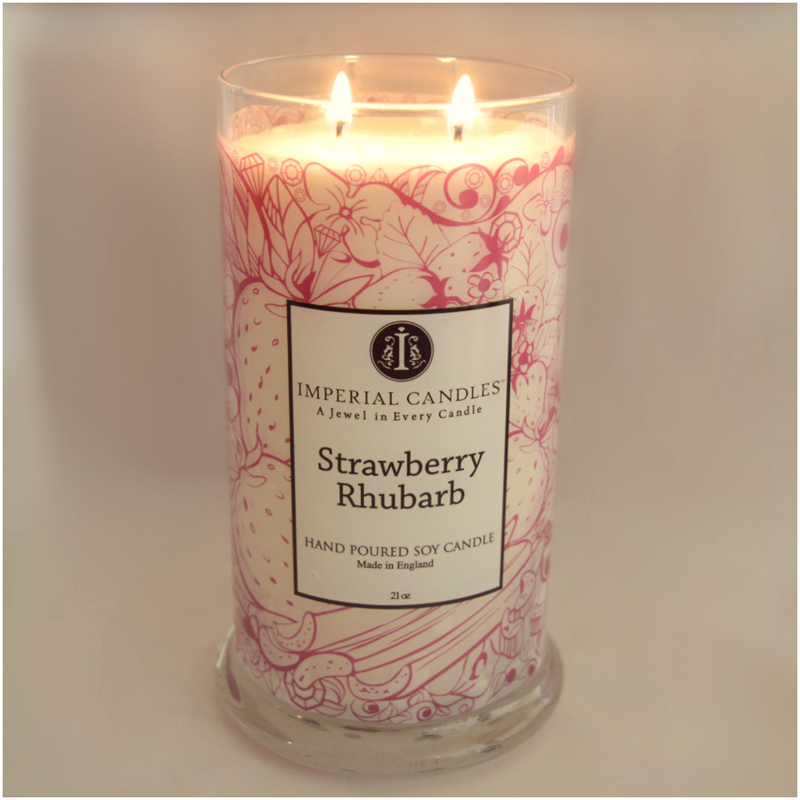 I was kindly sent a Strawberry Rhubarb Candle from Imperial Candles to review, it’s from their Classic Collection. Every Imperial Candle is handmade with 100% soy wax; they are hand poured with love in England, cured and carefully packed. 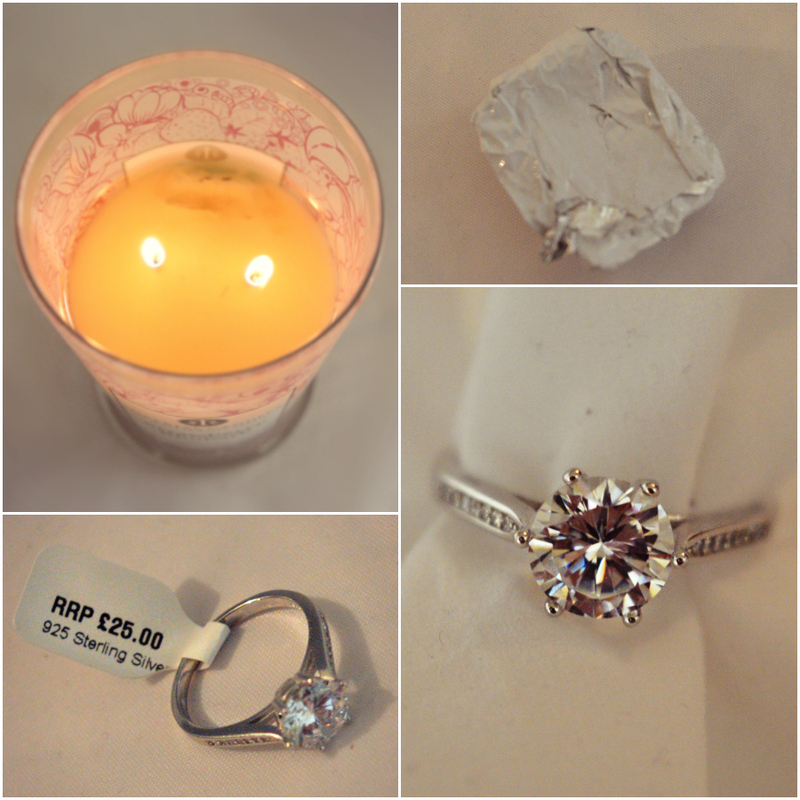 Each candle comes with a stunning piece of jewellery hidden inside, worth from £10 to £2000! This is the first time I’ve ever had a candle that comes with jewellery so to say I was excited about it would be quite the understatement. Within minutes of lighting my candle I could smell the delicious fragrance throughout my living room. 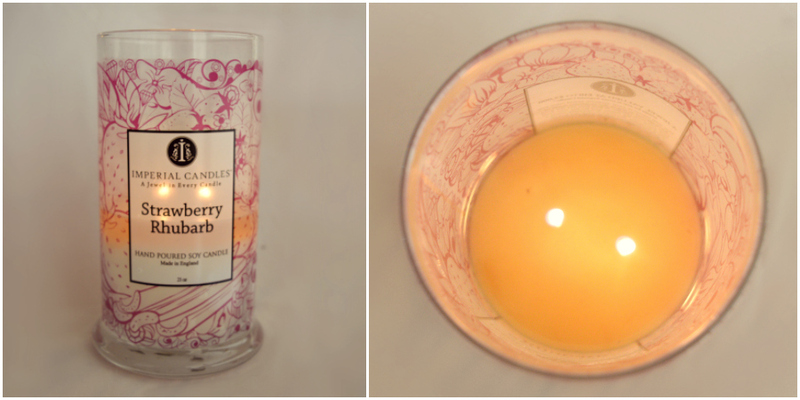 The scent was that of sweet, juicy, ripe strawberries mixed with tart rhubarb. It also had vanilla and buttery elements like a sweet, freshly baked pie crust. I love my food and dessert type scents and this particular one wasn’t too sweet, or too sour, it was just so delectable. Y’all know how much we love our multiple wicks here at V&L, two wicks guarantees a more even burn and you get faster fragrance too; I kept my wicks meticulously trimmed and my candle was burning so perfectly, but then I felt like I’d never get my ring! Ha ha ha! Eventually after nearly three days of burning the candle I could see the little package. It was like Christmas! The jewellery in the candles is placed in a little ziploc bag and then wrapped in a couple of layers of foil so there’s no chance of wax getting all over it. My ring was valued at £25 but to me it looks like it’s worth a heck of a lot more. I love it, it fits perfectly and it’s so freakin shiny and sparkly! With Imperial Candles you can pick what kind of jewellery you want whether that be a necklace, earrings or a ring and you can even choose your ring size. I really can’t say this enough but TRIM YOUR WICKS! You’ll get so much more out of your candle, seriously. Just look at how clean and evenly my candle has been burning and there’s no icky bits of black wick in it either. The Imperial Candles site says that these candles will burn for up to 120 hours which is super impressive but I know that if you keep your wicks trimmed you’ll get even longer out of it. Actually Imperial Candle even make bath salts and bath bombs that come with jewellery too. FABULOUS. My pay day shopping list is now literally a mile long. Stay tuned for product reviews from us and be sure to show Imperial Candles some love on Facebook, Twitter, Pinterest and on Instagram too.